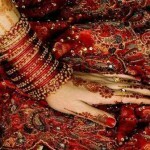 Mehndi is considered to be important item in a wedding. 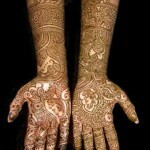 In Asian countries like Pakistan and India, no wedding is complete without applying mehndi designs. 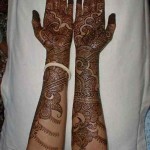 the best and beautiful bridal mehndi designs always reflect the joy and happiness of the marriage ceremony. 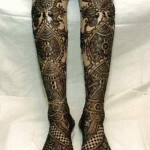 In order to choose the best bridal mehndi design, the most important step is that you should choose a good pattern. There are special patterns that are available specifically for bridal uses. 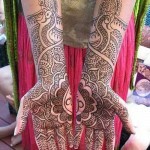 Here is a look at beautiful bridal mehndi designs for the upcoming year. 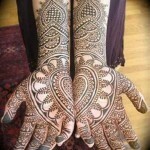 In order to choose mehndi design for your big day you should first decide whether the design suits your hands or not. There are a wide variety of mehndi designs like Pakistani mehndi designs, Indian mehndi designs, Arabic mehndi designs and many more. 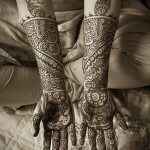 Mostly bridal mehndi designs in this post are difficult. 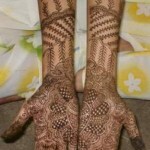 So brides should seek help from mehndi artists in order to apply these mehndi designs successfully. 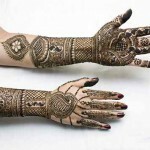 If you are the future bride and you want to apply beautiful mehndi designs on your hands and feet then look to these mehndi designs for ideas.